Trucks and SUV’s are now outselling cars and manufacturers are doubling down variety. This month we focus on a car-based, light duty hauler and a gutsy bruiser that could be your new catamaran tug. 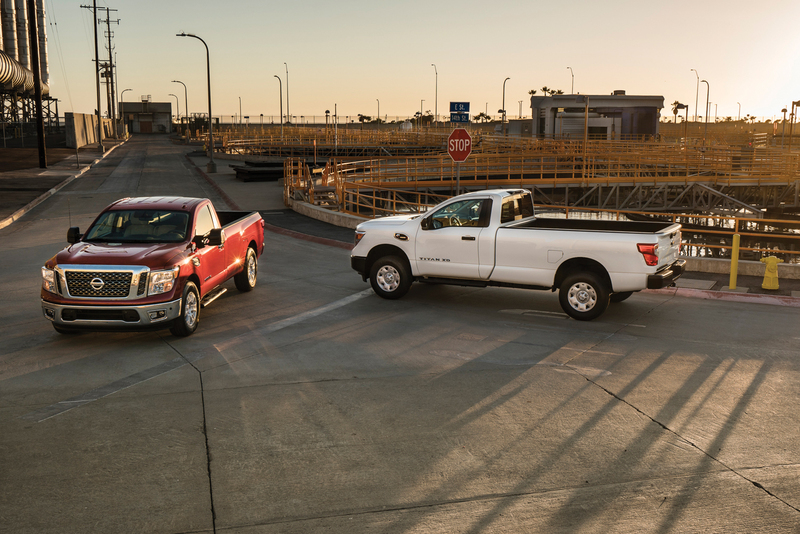 The 2017 Nissan TITAN XD and TITAN Single Cab models are the first-ever single cab offering in TITAN history. The trucks are designed to provide an affordable and rugged entry-point in the commercial fleet/work truck market. The Titan XD could be classified as a “tweener,” with price and capability that fits between a standard ½ ton and a heavy duty ¾ ton pickup. The base version XD gets a 5.6-liter V-8 but the optional, purpose-built 5.0-liter Cummins V-8 diesel delivers 555 lb-ft of torque to pull up to 12,300 pounds. 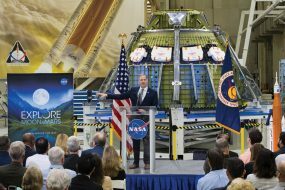 The engine’s grunt is delivered to all-four wheels through a six-speed automatic transmission. Two-wheel drive is standard. 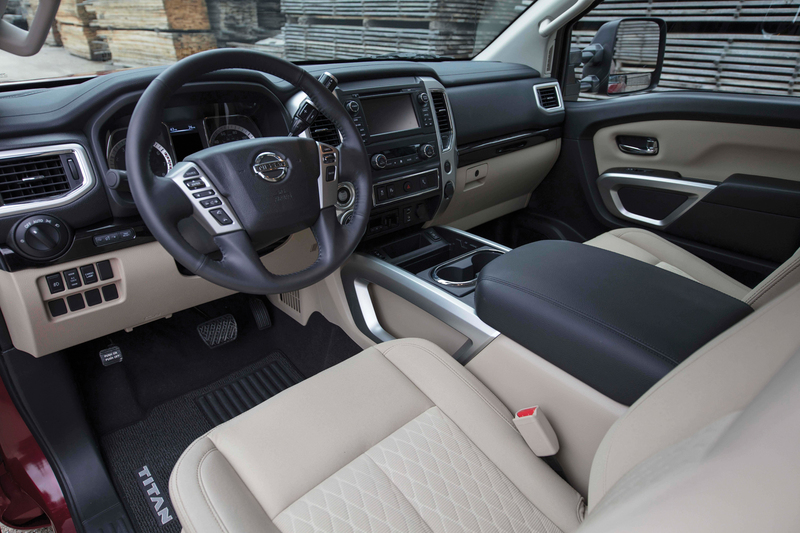 The 2017 Nissan TITAN King Cab is marked by its available 6-person seating, wide-opening rear doors and available “rear seat delete” option that is ideal for commercial use with its flat floor and secure in-cab storage space. The XD offers similar interior option packages as the regular Titan. A crew cab edition arrives at dealers later this year. So, for now anyway, only a single cab model is available. I don’t know about you, but what was once the only cab size available, today looks out of place among the popular 4-door versions. Our Titan XD single cab came with the long bed that was equipped with Nissan’s Utili-track system that offers a variety of cleats and tie-downs. Handy, under-bed rail and tailgate lighting is a terrific option and one that every trucker will appreciate. Car-based, truck-like utility vehicles have been around since the 1930s. You may be familiar with the Ford Ranchero and Chevrolet El Camino. Chevy ended its foray into this design in the late 80s, Ford in the 70s. 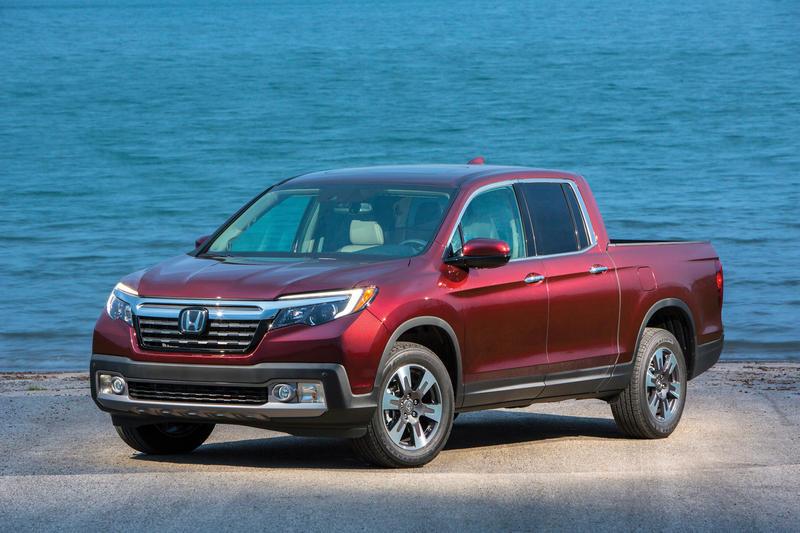 Fast forward to this century when Honda decided it was time to pick up the baton and build the Ridgeline. The second generation, 2017 Honda Ridgeline continues the tradition of the first but with more truck swagger and all the sought-after features that make this crossover so appealing. Crossover? Yes. It’s built on the same platform as the Honda Pilot CUV. With a sealed and lockable in-bed trunk, a dual-function tailgate, rear seat and 4-doors, this Ridgeline is like the Swiss Army knife of pick-ups. However, hauling and towing capacity is limited to about 1,500 lbs. The ride quality and interior is that of the Pilot, nice, but depending on option choices, you could be pushing the price into the full-size truck category. The 2017 Honda Ridgeline starts at $29,475. A Chevy Silverado 1500 Crew cab starts at $31,610.